Some fight fans were caught off guard earlier this week to learn that Tyron Woodley believes he’s the most poorly treated Ultimate Fighting Championship (UFC) titleholder in the history of the promotion. The guy hasn’t even been champion for more than six months. Other fight fans were rubbed the wrong way to learn that Woodley believes the color of his skin lends a hand in his lack of popularity. 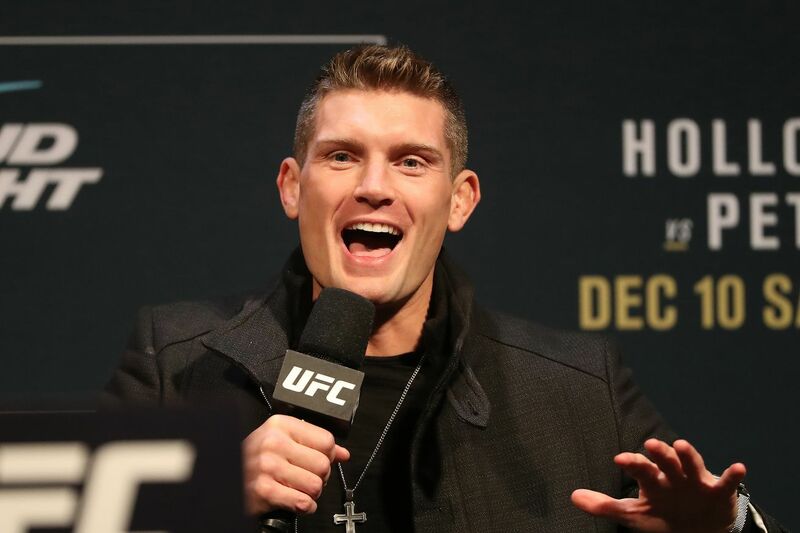 Stephen Thompson, who fought Woodley to a majority draw back at UFC 205 and will meet the champion again at UFC 209 on Mar. 4 for the welterweight championship, is among those who have no idea what the hell “Chosen One” is talking about. Sadly enough, Woodley also commented on how he believed UFC built “Wonderboy” up like an all-American at UFC 205 and had him walk out with the American flag. Of course, that wasn’t the case. There seems to be a lot more drama leading up to their rematch at UFC 209 than there was prior to their New York City meeting. You would think there would be more respect and understanding shared between the two after fighting to a draw, but Woodley and Thompson continue to trade barbs at every turn. In this case, you’d have to favor Thompson. There’s nothing wrong with supporting our troops and there’s nothing he can do to change Woodley’s mind about his lackadaisical fan base.